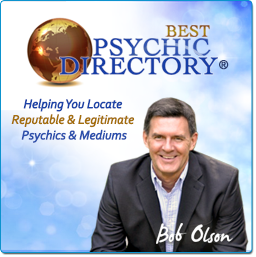 It wasn’t until October of 1999 that I finally recognized there is a difference between “believing” and “knowing.” By this time, ten months after first meeting Vicki, I felt I had read every book worth reading on the subject of psychics and psychic mediums. I was no longer discovering new enlightening insights with every book. In fact, I was growing somewhat bored with the research because it was all so repetitive; which, to me, was a statement of validity in itself because the psychics and psychic mediums were teaching many of the same principles. But I knew I needed a method for obtaining alternative perspectives for my book, so it occurred to me that it was time to conduct some interviews. The answers I received from almost every interviewee were similar; everyone was aware of the stigma but nobody worried about it. Unexpectedly, during one of the last interviews I conducted, I came to the stunning realization that my use of the word “believer” was in poor choice. And I owe this recognition to one very perceptive woman whom I interviewed. Her name is M. E. Oriol, an author who specializes in life-coaching, pastoral counseling and psychotherapy. Oh, how envious I am of her name, M. E. Oriol, flaunting the intonation of a distinguished writer—as opposed to Bob Olson, which flaunts the intonation of common and ordinary. Ms. Oriol is a person who takes pride in her command of the English language. Not surprisingly, she also teaches English as a second language to adult students, mostly professionals from other countries who want to learn English, but also to students from this country who do not speak, read or write the language. Perhaps Ms. Oriol’s cautious way with words is a hazard of this profession, but I sense it is more a desire to accurately express what she wishes to communicate. And since finding the correct word or phrase is so gratifying to me as a writer—like striking the correct note on a piano, or perfectly connecting a baseball bat to a ball—I was pleasantly immersed in my conversation with Ms. Oriol. It was refreshing that she not only carefully selected her own words, she also politely reprimanded me when I asked a question that was vaguely worded or presumptive in its context. When I began to ask Ms. Oriol the question about the stigma of being a believer, my mind leaped ahead with a clear premonition of her response; our conversation had trained me to know she would find fault with my use of the word “believer.” As my mind quickly imagined the debate, I predicted her objection to the word. From that conversation I had redefined myself a knower. Believers are people who accept, on faith, the dogma of others and assume it to be true. Knowers are people who have firsthand knowledge to support their convictions, personal evidence that allows them to know it is true. However, that evidence need not come from a third party such as a spirit messenger. For many, they are open and aware enough to see the evidence on their own, the multitude of signs and messages that surround us every day. I was not one of those people. Ms. Oriol happens to be one of those people who enjoys a knowing founded on personal awareness. At the age of twenty, more than three decades ago, she decided to look outside her parents’ religion to discover a relationship with God that was better aligned with her own truth. “I decided it was between me and God,” she explained. “At this point, I read everything I could get my hands on related to spiritualism, God, psychology and philosophy. I was evolving into my own self and my own relationship with God.” In her exploration, Ms. Oriol discovered “ a religion that seemed to be a greater—not final—but a greater truth” for her. Hence, she converted. Years later, she became a minister with this religion. Needless to say, Ms. Oriol is unaffected by the stigma associate with being a knower. Still, for unrelated reasons, she considers her spiritual way of life a private matter. For years she rarely talked about it. “It was just too sacred,” she admitted. “I do not know how to put my experience with it into words. I’ll mention it, and if it touches someone’s heart and they ask me more, I’ll talk to them about it. But I don’t want to betray my experience by not portraying it accurately,” she said, once again exemplifying her devotion to lexical accuracy. Beyond any doubt, Ms. Oriol is a knower. She described her relationship with God as a “personal experience.” Not once did she refer to a book or a lesson taught by someone else as her basis or foundation for knowing. They may have paved the road for her, but she walked it. For her, knowing came from something she experienced from within. Although she never revealed to me what those experiences were—probably because they were too sacred and profound to describe—one only needs to be in her presence to sense her knowing energy. The lesson I learned from Ms. Oriol is that there is a difference between believing and knowing. It took me ten months of research and readings, and thirty interviews to discover this lesson. My initial three-hour reading with Vicki did not instantly convert me from skeptic to knower; I first had to pass through the believer stage. Due to years of skepticism, my intellect fought the paradigm shift. Nevertheless, after months of continuous reinforcing effort, I finally grew into and owned my new knower status. I still have far to go and admit that I am no spiritual authority, but the rewards of knowing are far greater than I would ever have predicted. Now that you understand the difference between believing and knowing, I hope you will understand the rewards that come from knowing by the time you finish reading this book.